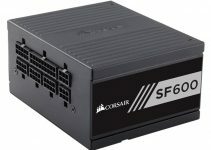 If you are building an RGB gaming PC with RGB Components like RGB Case Fans, RGB RAM, RGB CPU Cooler then you cannot miss on computer case because nowadays you can find some really good RGB PC Cases that comes with fancy RGB LED lighting and effects. The position and size of the RGB LEDs can vary from one case to another as some cases have RGB LED Strip / Bar on or inside the case, some have RGB LEDs on corners and in some cases the whole front panel is covered with RGB LEDs. You can also find RGB LEDs around the I/O ports in some RGB PC cases. The RGB LED lights in these RGB cases are controlled by an RGB controller that comes included with the computer case. However, some of these RGB LED cases also supports RGB Sync softwares that can control the RGB LED lighting and effects through motherboard’s RGB header. 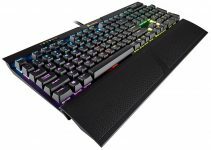 These fancy RGB computer cases looks very stylish with their RGB lighting and effects, and if you are building a gaming PC with all RGB stuff then these RGB computer cases will enhance the overall look of your RGB gaming PC. There are some good tempered glass cases too that comes with RGB Fans and looks very beautiful but here I am going to list down the real RGB LED PC cases that have in-built RGB LEDs on them and not just the RGB case fans only. Here are some of the best RGB PC Cases that you get for building a fancy gaming PC with RGB LED lighting. Most of these cases are mid-tower case and can accommodate ATX sized motherboards very easily. This is a modern and stylish RGB Gaming case that comes with tempered glass panel. 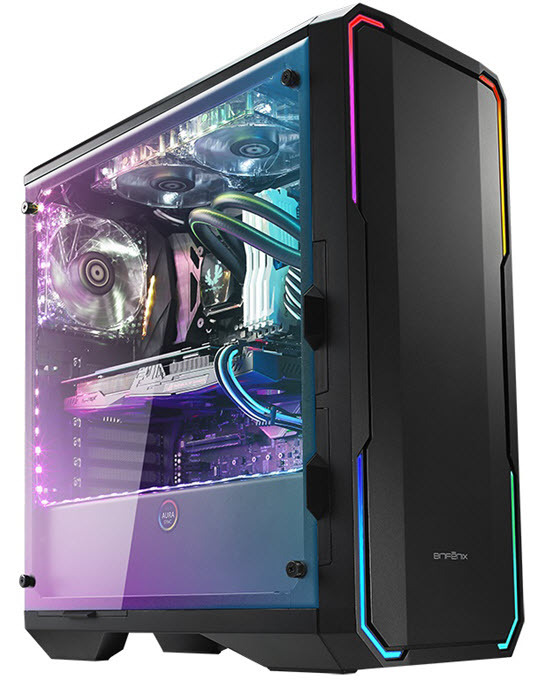 Corsair Carbide Series SPEC-OMEGA RGB is Mid-Tower Gaming case that comes with an RGB LED Strip on the front panel and two 120mm RGB fans, one at front and one at rear. The case offers lots of room for your gaming components and has got good airflow because of its Direct Airflow Path layout design. The RGB Strip on the front panel has got 30 RGB LEDs and the RGB lighting and effects in this case can be controlled by Lighting Node PRO digital RGB lighting controller and through Corsair’s iCUE RGB lighting software. The case includes tempered glass panel on front and on the side that further enhances its looks. You can find two USB 3.0 ports and audio port on the front panel of the case. This RGB case can support up to 370mm long graphics cards, 170mm tall CPU coolers and up to 360mm Radiator for liquid CPU coolers. It is compatible with H55, H60, H75, H80i, H90, H100i, H105, H110i, H115i, H150i AIO Liquid CPU coolers. This is a beautiful RGB PC Case and has a very unique asymmetrical and angular design. Other features include cable management and dust filters. Overall a great RGB Case that packs features, has got enough space for mid-range gaming build and looks modern and stunning. Highly Recommended by me. NZXT H500i is a compact mid-tower RGB case that supports up to ATX sized motherboards. 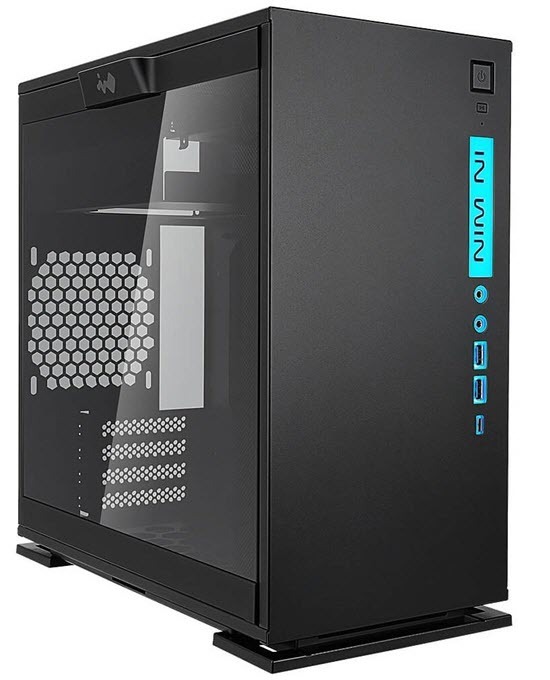 This is a newer case from NZXT which is a modern yet elegant and classy looking computer case. It is quite spacious for building a mid-range gaming rig. For cooling, it comes included with two 120mm fans (Aer F120), one at the top and one at rear. You can optionally install two 120mm fans at front for improving airflow for better cooling. The case is well built and comes with a colored cable management bar that runs from the top compartment to the top of the PSU compartment. The bar is available in blue, black, white and red color depending on your choice. The front top panel consist of two USB 3.0 ports, audio ports and power button. The case supports CPU coolers up to 165mm tall, graphics cards up to 481mm long and 280mm radiators for liquid cooling. It comes with inbuilt Fan controller / RGB controller and two internal RGB LED strips, one at the top and other one behind the cable management bar. The RGB lighting and effects in the case can be controlled by NZXT CAM software and the RGB / Fan controller supports up to four LED lighting strips or five RGB fans. The case also features Adaptive Noise Reduction technology that actively adjusts the fan speeds depending on the measured noise and CPU/GPU temperatures. You can get up to 40% reduction in noise and it provides you an optimal balance between silence and cooling. The case has got tempered glass side panel from which you can see the full glory of the RGB lighting and effects clearly. Other features include dust filters and cable management. Overall, it is a great looking, well built and feature rich RGB case for mid-range gaming build. Highly Recommended by me. Thermaltake Versa C22 is a sleek RGB Mid-tower gaming case that supports up to ATX Sized motherboards. This slim looking RGB gaming case comes with RGB LED Strips on the front and the top panel and can be controlled by the integrated RGB controller that provides 7 color RGB options with lighting effects (Breath, Blink and Solid Color) modes. Also, the RGB light is visible from all angles and they really look stunning will all these fancy effects. The case comes preinstalled with one 120mm Rear fan but you can install additional fans at front and top for increasing airflow. The front top panel consists of two USB 3.0 ports, two USB 2.0 ports, Audio ports and RGB LED controller. The case can accommodate high-end graphics cards up to 390mm in length, CPU Cooler up to 160mm in height and 240mm Radiator for AIO and DIY liquid cooling solutions. It has got a transparent side panel, removable dust filters and tool free drive installation. So, if you are in search for slim, affordable and relatively compact RGB gaming case with stylish RGB lighting then this one will definitely suit you. 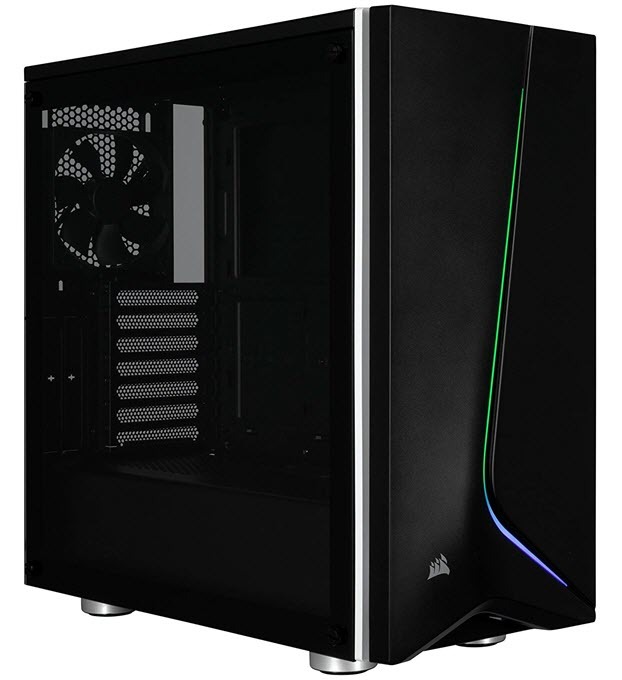 Corsair Carbide SPEC-06 RGB is a mid-tower ATX case with tempered glass side panel. 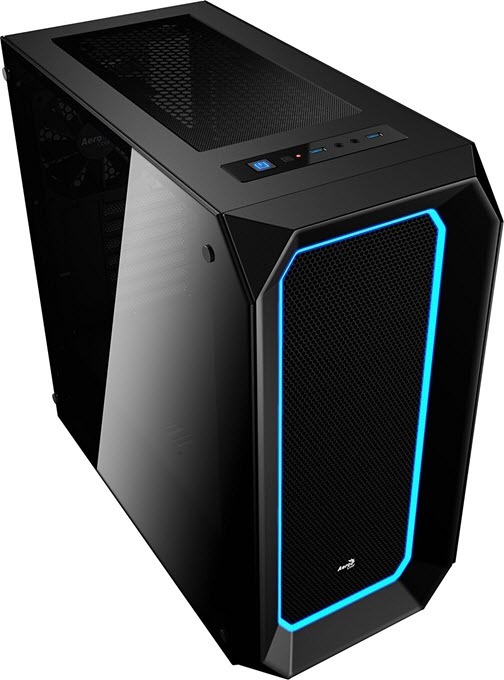 This is a newly launched case in the Corsair Carbide SPEC series and it is an upgrade over the older SPEC-05 case. The case comes with a curved RGB strip at front panel and a 3-button RGB controller with seven different lighting modes. 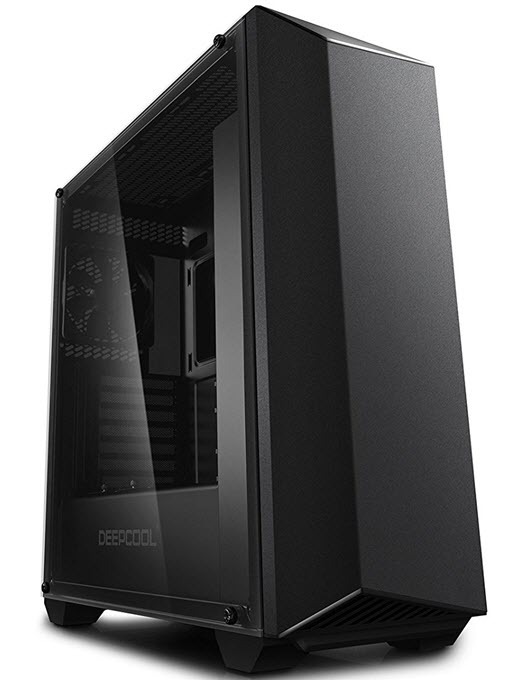 This a modern and stylish looking case and it can accommodate up to 120mm fans for cooling. On the top front panel, you will get two USB 3.1 ports and audio ports. This RGB case has got lot of room for gaming components and it can support graphics cards up to 370mm long, 170mm tall CPU coolers and up to 360mm Radiators for AIO liquid cooling. The case has got four round feet stands that keeps it elevated from the floor for better airflow. You can install Corsair RGB fans, RGB RAM, RGB CPU cooler and RGB strips in this case for building a great looking RGB gaming PC. Other features of this case include cable management and dust filters on top, front and on bottom for PSU. The case is available in black or white color. A unique RGB LED case that showcases amazing RGB lighting and effects. The case comes with 7 RGB LED Strips behind the front mesh panel and they really light up the case with their 22 dynamic modes and 20 static colors. The RGB LED lighting, effects, brightness and speed can be controlled by the wireless remote that comes bundled with the case. Raidmax Alpha is a mid-tower case with traditional block design and can fit up to ATX motherboards. It has got enough space for all your high-end gaming components and allows fan installation points at front, rear, bottom and top for better airflow. It comes included with one 120mm black fan at rear and on the front panel you will get two USB 3.0 ports and HD audio ports. The case can accommodate 390mm long high-end graphics card, tall CPU coolers up to 175mm in height and big 360mm Radiator for liquid cooling. Other features include magnetic dust filters, transparent side panel, cable management and tool less drive installation. The case also features an external 5.25” bay for optical drive. Overall a good RGB gaming case with great RGB LED illumination that can really turn heads and it stands out from the crowd. Eclipse P400 is an elegant looking tempered glass panel RGB case from the house of Phanteks. This is a budget gaming case that packs great features, is spacious, has good build quality and looks stunning. This is a mid-tower gaming case that can support up to E-ATX sized motherboards with some restrictions. For cooling, it comes with one 120mm front fan and one 120mm rear fan but you can optionally install more fans for increasing airflow. On the top front panel of the case you will get two USB 3.0 ports, audio and ports and LED control button. 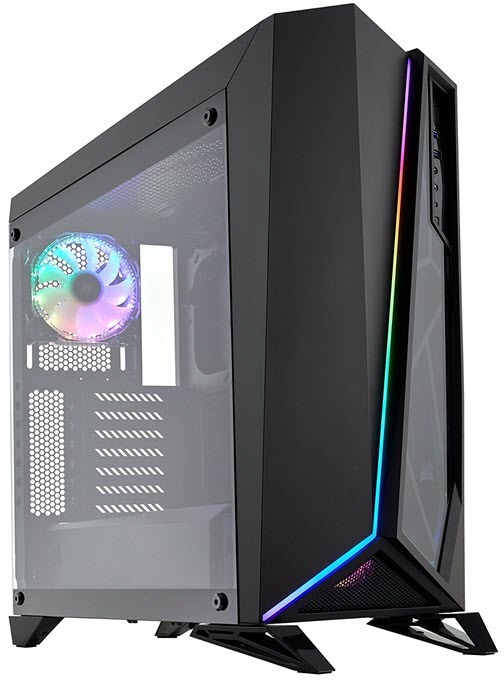 The case comes with RGB ambient down light on the bottom of front panel, 10 color RGB power light (on/off switch) and 300mm Internal RGB LED Strip that be controlled by the LED switch and by RGB softwares that include Asus Aura Sync, MSI Mystic light sync and Gigabyte RGB Fusion. The case is big enough to support 395mm long high-end graphics cards, 160mm tall CPU coolers and can support 360mm Radiators. It includes a tempered glass panel on its sides, has got removable dust filters and includes features such as cable management and tool free drive installation. This is undoubtedly one of the best budget RGB gaming case that can be used to build a mid-range to high-end gaming rig with all the fancy RGB components. Highly Recommended by me. Here we have darkFlash T20 Black ATX Mid-Tower RGB Case from Aigo, which is a Chinese company and is pretty well known for its budget RGB Fans. 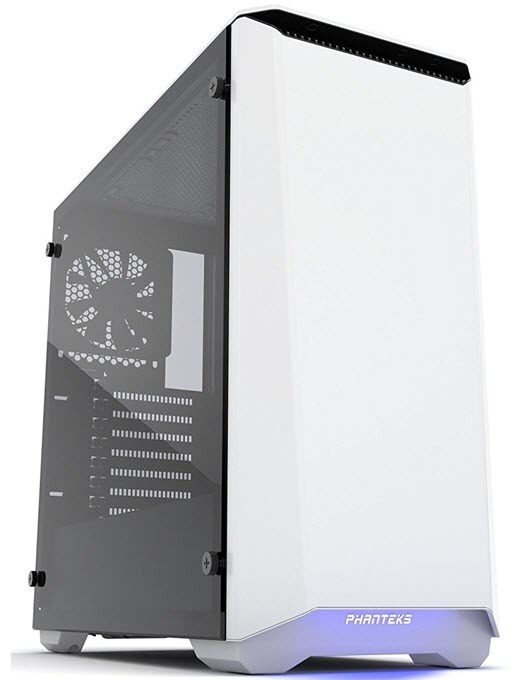 This is a minimalist but a quite a spacious case and supports up to E-ATX sized motherboards. The case looks beautiful with an RGB LED Strip on the front and on bottom panel, and it can be controlled by an RGB LED switch located on the front panel I/O ports. For cooling, the case supports fan mounts at front, top, rear and a 120mm Rainbow LED Fan comes pre-installed at the rear. The side panel is made of 4mm tempered glass that allows you to peek at all of your fancy gaming components. The I/O ports on the front include two USB 3.0 ports, Audio ports and an RGB LED switch. The case supports up to 350mm long graphics cards, CPU coolers up to 180mm tall and up to 360mm Radiators. It can support up to six 3.5” hard drive and up to three 2.5” SDDs and drives. The build quality of this case is also very good and has nothing to complain about. Other features include top and bottom dust filters, tool-free drive installation and cable routing. According to me this is the best value for money RGB case that you can buy for building a fancy RGB Gaming PC. Highly Recommended by me. 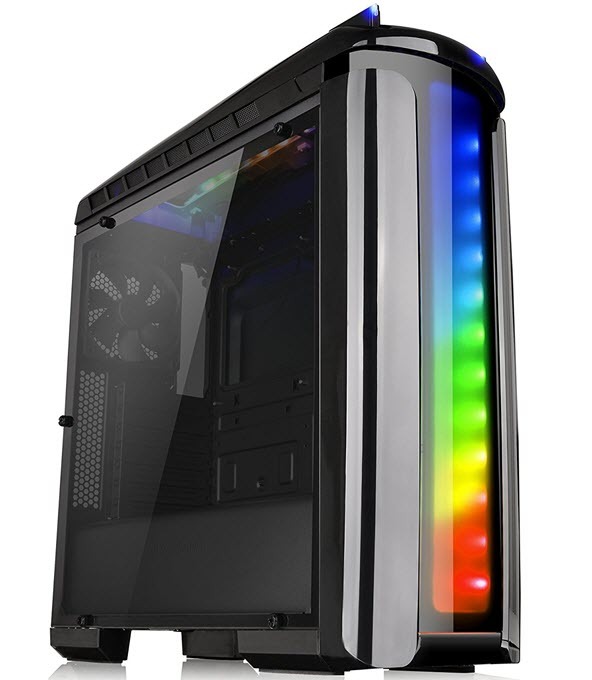 Aerocool Cylon RGB Mid-Tower case has to be the cheapest RGB case that you can get for your gaming build. The case is very attractive looking and has a diagonal RGB LED Strip on the front panel. The RGB lighting includes 13 lighting modes where six are RGB flow modes and seven are static or solid color modes. All the RGB lighting effects can be controlled or can be switched using the RGB LED button present on the top of the front panel. For cooling, it comes with fan mounts on front, rear, top and has two special fan mounts for 120mm fans for cooling your graphics card. The I/O ports on the top front panel includes one USB 3.0 port, two USB 2.0 ports, Audio ports and SD Card Reader. The case supports high-end graphics cards up to 346mm /371mm (without front fan) in length, CPU coolers up to 155mm tall and 120mm Radiators for water cooling solution. In storage department, the case supports two 3.5 “/2.5” drives and three 2.5” drives. Other features include magnetic dust filter for PSU and Top, Cable routing, Transparent Side Panel and Tool-less drive installation. Overall, a good, sleek, modern and compact budget RGB case for the price and is great for building a budget RGB gaming PC. Highly Recommended for users on tight budget. 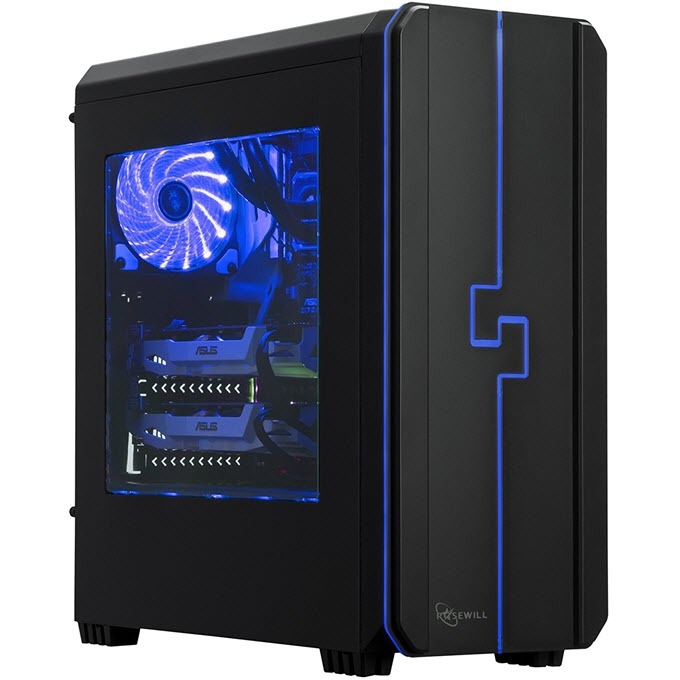 Rosewill is well known for its budget oriented computer cases and here we have an affordable RGB Gaming Case from it with fancy RGB LED lighting all around. 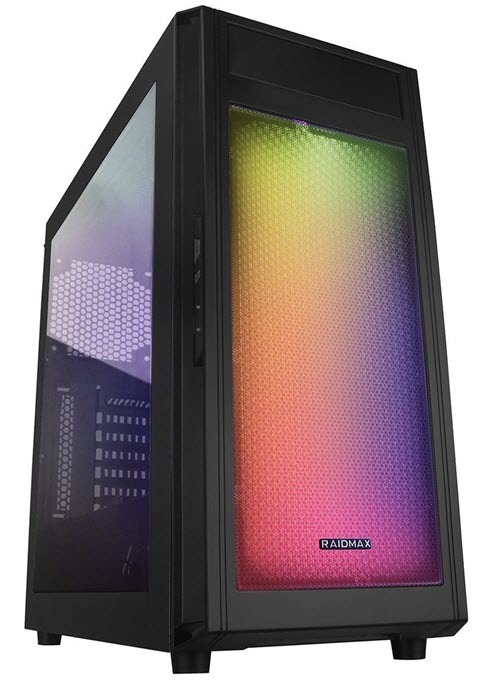 This is a spacious mid-tower case that comes with RGB LED strip / bar on front and on the front sides and Internal RGB strips with 4 modes that consists of Transition, Breathing, Shuffle and Static. It also got two 120mm RGB Fans, one at front and one at rear. The front top panel has got two USB 3.0 ports, one USB 2.0 port, audio ports and LED control buttons for changing RGB effects and modes. The case can support high-end graphics cards up to 380mm in length, CPU coolers up to 160mm in height and 240mm Radiators for liquid cooling. Other features include tool free drive installation, cable routing and translucent windowed panel. So, if you are on tight budget and want a great looking RGB PC Case with lots of space and fancy RGB lighting all around then you should get this one. Recommended for users on budget. A good value for money RGB PC case from a relatively lesser known brand which is AeroCool. AeroCool P7-C0 is a mid-tower gaming case with RGB LED border around mesh on the front panel that have 10 LED lighting colors and 3 lighting effects. This is a spacious case and it has good airflow and cooling capacity. It comes with one 120mm fan at rear but you can install more fans at front and top for increasing airflow. On the front of the top panel you will get two USB 3.0 ports, one USB 2.0 port, audio ports and one LED switch. The case has got plenty of room for all high-end components and can fit up to 414mm long graphics card, 175mm tall CPU cooler and 360mm Radiator. Other salient features include magnetic dust filters, cable routing, tool free drive installation and a tempered glass side panel. The case is well built and is in the league of other cases from top brands. 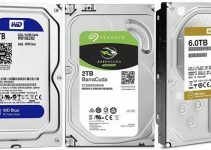 Overall, it is a great case for mid to high-level gaming build and offers tons of space, and has a clean yet modern design. BitFenix ENSO is a mid-tower RGB computer case that can support up to E-ATX motherboards (up to 272mm). It has got RGB LED strips at the four corners of the front panel which is of metallic construction. The RGB LED lighting effects can be controlled by the integrated RGB controller or by Asus Aura Sync RGB software using 4-pin RGB connector that goes in the RGB header of your motherboard. The case has good ventilation and it comes with one 120mm RGB Fan at rear and one 120mm black fan at front. On the front top panel, you can find two USB 3.0 ports, audio ports and RGB LED button. The case can support 340mm long graphics cards, 160mm tall CPU cooler and 240mm Radiators for liquid cooling. It comes with tempered glass side panel, removable dust filters, 23mm cable management space behind motherboard tray and tool less drive installation for 2.5-inch and 3.5-inch drives. The case features a clean design but looks very stunning once lit up. This is one of the best RGB computer cases for a mid-range gaming build. 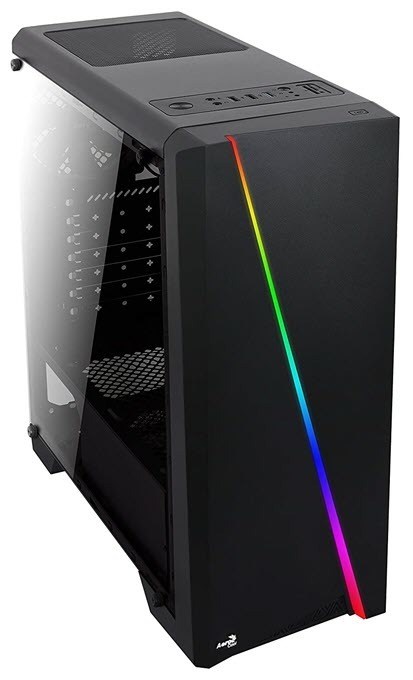 DEEPCOOL EARLKASE RGB is a mid-tower RGB case that supports up to ATX motherboards. 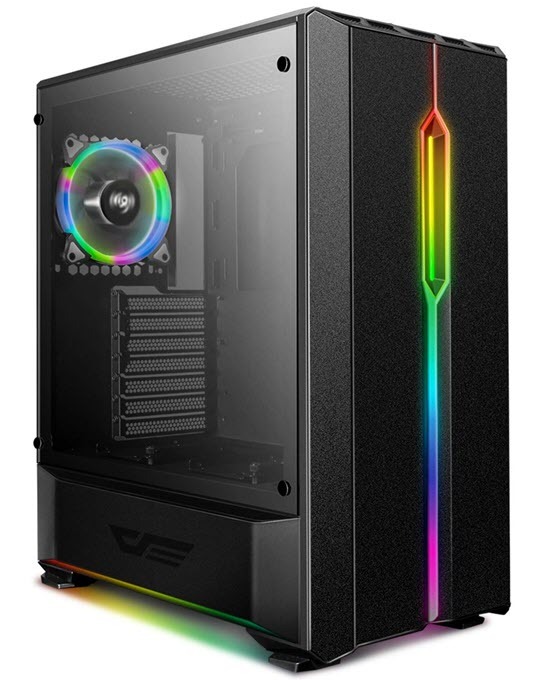 The case comes with Internal RGB LED Strip and two extra RGB headers that can be used to connect Deepcool RGB products such as GAMMAXX GT and Captain EX RGB Series and expanding RGB lighting. For cooling the case has got plenty of fan mount points and it comes included with one 120mm fan at front and one at rear. On the front of the top panel you will find one USB 3.0 port, one USB 2.0 port, audio port and RGB Controller buttons. The side panel is of tempered glass through which you can witless all the RGB lighting and effects. It has got thick 1.0mm metal front panel that has powdered coating over it making it scratch resistant, and has anti-staining property. 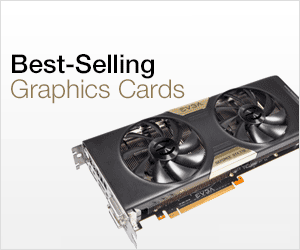 The case support 300mm long graphics cards, 165mm tall CPU coolers and up to 280mm Radiator. Other features do include magnetic dust filters, cable routing and tool free drive installation. This is a decent RGB case but has less RGB lighting compared to other cases in this. You can easily build a mid-range gaming PC using this case. The case is also very much affordable too. InWin 301C is a compact RGB PC case having Mini-tower form factor and can fit up to Micro-ATX motherboards. This small form factor RGB gaming case comes with RGB Illuminated InWin Logo and I/O ports that are present on the front panel. Despite of being a mini-tower case the case has got 120mm fan installation mount points at front, rear and bottom. It has got two shock-proof stands on the bottom that keeps the case elevated from ground, and it helps in better airflow and ventilation. The front panel consist of two USB 3.0 ports, USB 3.1 Gen 2 Type-C port, HD Audio ports and RGB Logo. The RGB lighting can be controlled by RGB Sync softwares that include Asus Aura Sync, MSI Mystic Light Sync, Gigabyte RGB Fusion RGB. 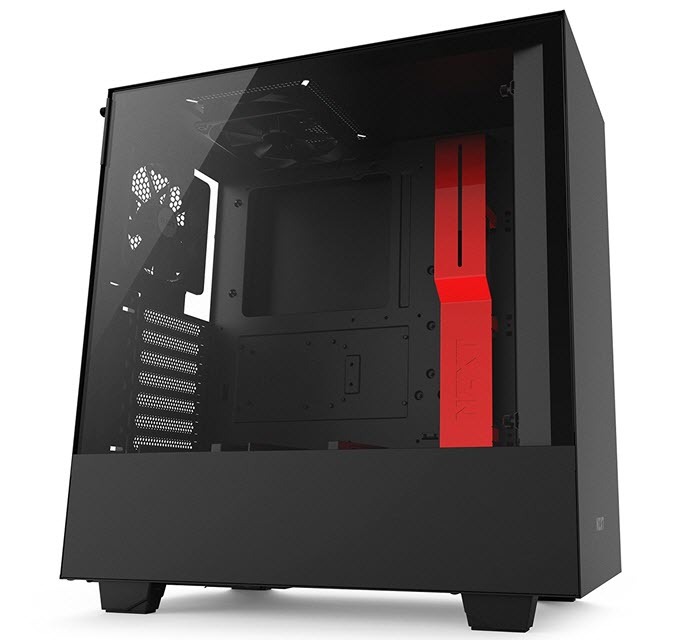 The case supports 330mm high-end graphics card, 160mm tall CPU coolers and 240mm Radiator. It has got 3mm Tempered Glass Side Panel that can be removed by just pressing a button on the handle. Other features include removable dust filters, cable management and tool free drive installation. This is indeed a beautiful and classy looking compact RGB PC case that has enough room for building a powerful mid-range gaming rig using a high-end graphics card. So, if want a good compact RGB gaming case then definitely go for this one. So, if you are thinking of building an RGB Gaming PC with fancy RGB components then the above mentioned RGB PC Cases will not disappoint you at all. These RGB computer cases are great for building a mid-range to high-end gaming with high-end graphics card and AIO Liquid Cooler. Some of them do come with tempered glass panels that further enhances their beauty and the RGB lighting. If you have got any queries or doubts regarding them then you can ask me leaving by leaving a comment below.